Brad has over 21 years experience in financial markets specialising in project, infrastructure, capital markets and credit based portfolio management. Strong transactional experience in structured lending and receivables management. 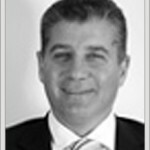 Previously Founder and Managing Director of ASX listed Ethane Pipeline Trust. 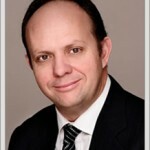 Previously Senior Vice President, Bankers Trust Australia and Senior Executive, SBC Australia. Brad holds a Bachelor of Economics and a Diploma of Applied Finance and Investment. John has been involved in banking, finance and funds management activities for over 35 years. John began managing the Howard Mortgage Trust in 1987 with assets of $8 million and oversaw its growth through the ownership of Challenger to $2.6 billion by 2003. Under John’s leadership, Howard Mortgage Trust won the Money Management Magazine “fund manager of the year award “on 7 occasions. John has a very strong credit risk management and lending background. John was Chairman of the (then) Investment and Financial Services Association (IFSA) mortgage trust working group from 2005-2010 with total member FUM in excess of $30 billion. John is also an experienced non-executive director and former honorary treasurer of the National Council of Churches in Australia. John was awarded a Papal Knighthood in 2011 for his charitable work.